It was back in 1967 that Blues musician and songwriter Scott Ainslie first heard a DC area grave digger – John Jackson – play Blues. 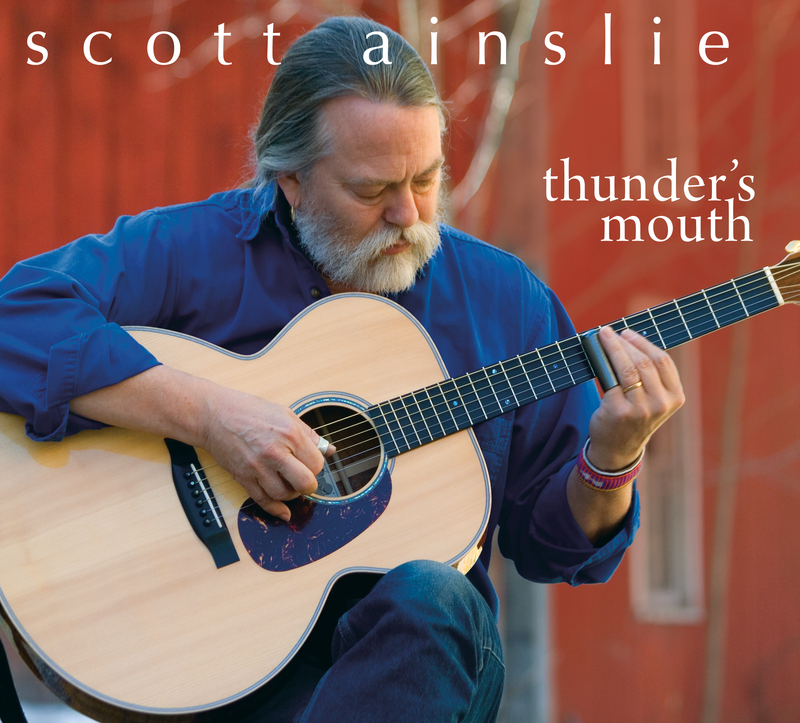 Ainslie is now releasing his fifth compact disc, Thunder’s Mouth – a powerful, rootsy slice of traditional blues, African-American songs, and originals. Here, Ainslie’s guitar, mandolin, and voice are masterfully complemented by Grammy Award-winning cellist Eugene Friesen; Lafayette, Louisiana guitarist Sam Broussard; and T-Bone Wolk, bassist and road warrior with Hall & Oates, who also contributes accordian, keyboard, guitar, and hand percussion to the project. Opening with J. B. Lenoir’s Down In Mississippi, this collection presents a strongly contemporary march in traditional territory. Broussard’s remarkable guitar work throughout the album is the perfect foil for Ainslie’s muscular guitar playing and vocals. With a gutsy accapella rendition of Delta Bluesman Son House’s wonderful Don’t You Mind People Grinnin’ In Your Face, followed by Oil In My Vessel, an old-time gospel tune from Joe Thompson (one of the last surviving Black old-time fiddlers known), Ainslie sets listeners up for a powerful ride. Ainslie and Broussard also present a dark and wonderfully moving version of Another Man Done Gone, a song by Vera Hall that John Lomax recorded in 1938 for The Library of Congress. In addition to these traditional tracks, Thunder’s Mouth includes four Ainslie originals. Two of them have obvious African roots: a Kora-inspired fretless banjo tune, If Anybody Asks You About Me, and I Should Get Over This, a heart breaker set to a danceable West African-inspired guitar part, complemented by Eugene Friesen’s remarkable cello playing and T-Bone Wolk’s bass, percussion, and rhythm guitar. 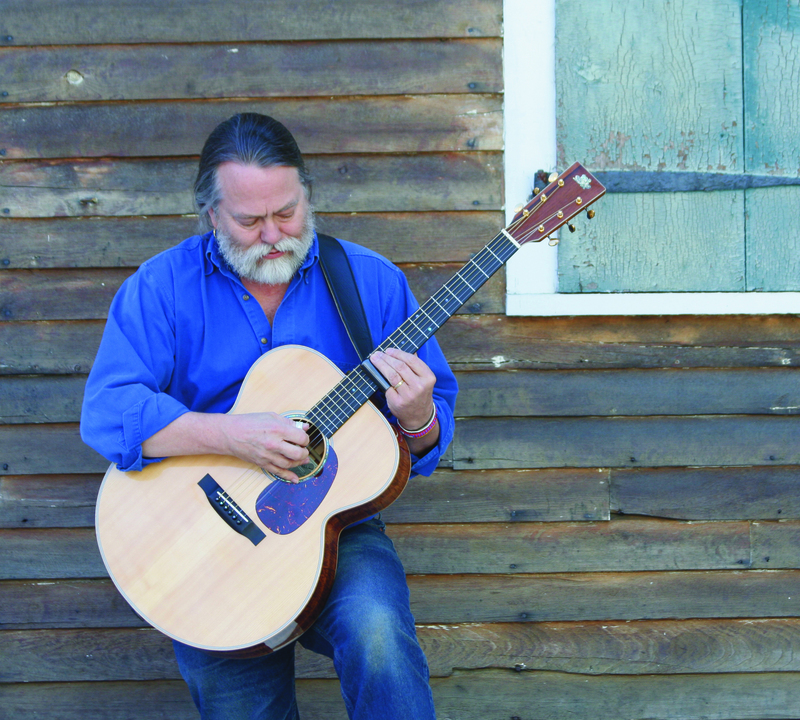 Ainslie’s title track, Thunder’s Mouth, comes of split lineage: the title phrase is Shakespeare’s, while the setting and body of the song were inspired by slave narratives from the Nashville, TN area. This is a powerful song whose dark landscape is humanized by Friesen’s cello and haunted by Broussard’s electric slide guitar. It’s Gonna Rain, another original, is the kind of song you wish you had written – a lost-love song set in south Louisiana. It saw its first performance around the 4th of July in 2005, just prior to the arrival of Katrina and the failure of the levees in New Orleans. As Ainslie says, “Six weeks later, without changing a word, it became a song - not about losing somebody, but about losing a city and for my money, one of the coolest cities in the world. Mixed and mastered at Will Ackerman’s Imaginary Road Studios in Vermont by Grammy Award-winner Corin Nelsen, Thunder’s Mouth will be released on the Cattail Music label early this summer.